BMW USA has introduced the BMW M Performance parts for the 2017 BMW 5 Series in the USA. The range includes styling, performance, convenience and a variety of other parts for the new generation BMW 5 Series. The BMW M Performance parts are divided into aerodynamic components, brake systems, carbon fibre accessories, exhausts, grille, performance style and wheels. 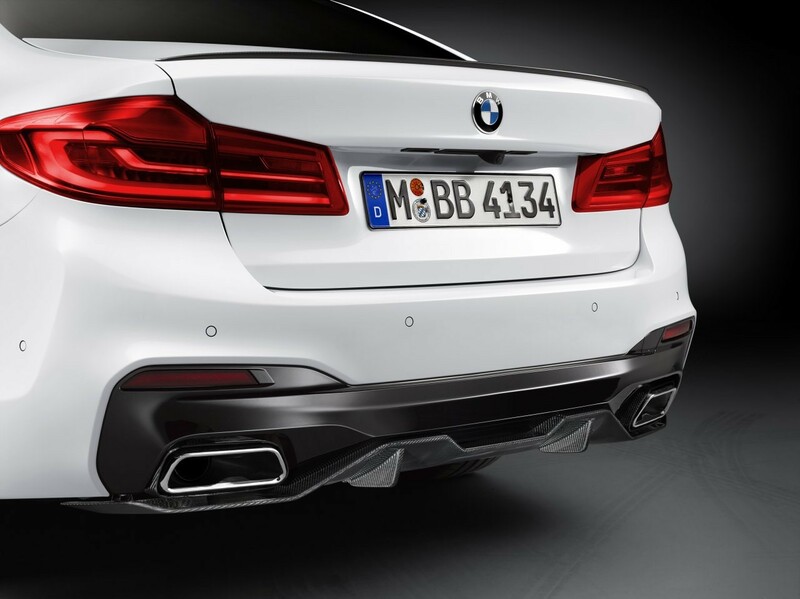 In the pack, BMW is offering BMW M Performance carbon fibre front splitter, BMW M Performance carbon fibre roof spoiler, BMW M Performance exhaust system, BMW M Performance rear diffuser with bumper, BMW M Performance side skirt, BMW M Performance brake system and 20-inch BMW M Performance light alloy wheels. 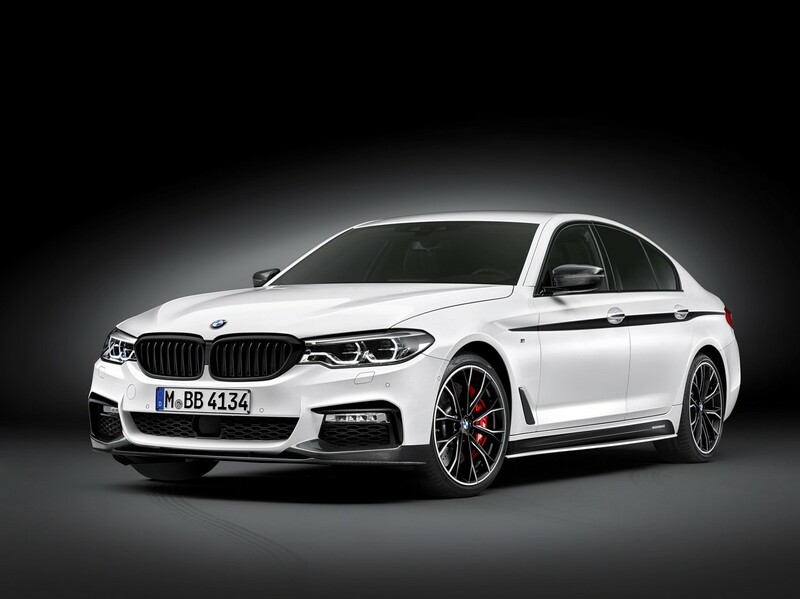 To make the 2017 BMW 5 Series visually even more appealing, BMW M offers BMW M Performance black kidney grille, BMW M Performance carbon fibre mirror caps, BMW M Performance accent side stripes and BMW M Performance stainless steel pedal covers. 2017 BMW 5 Series owners can fix their GoPro action camera on the front bumper with the BMW M Performance Track Fix GoPro Camera holder and even use the BMW M Performance Drive Analyzer. The latter is an on-board diagnostic stick which is plugged into the car for providing driving data. This device offers recording and analysis options which the driver can evaluate and have them displayed via a smartphone. The BMW M Performance parts for the 2017 BMW 5 Series are priced from $109 (INR 6994.58) to $5,250 (INR 3,36,895.13). The BMW M Performance parts for the 2017 BMW 5 Series (BMW G30) are now on sale in the USA and are available to order online at BMW USA's online store. Prices start at $109 (INR 6994.58) for the BMW M Performance kidney grille and go up to $5,250 (INR 3,36,895.13) for the BMW M Performance 20-inch alloy wheels. The 2017 BMW 5 Series will launch in India in the following months.